Everyone of us gets spam mail on gmail continuously and most of these Gmail spam mails are useless and they unnecessarily reduce the free space of Gmail account. Most of these spam mails contains viruses, malwares and harmful scripts which are dangerous to your account and PC. If you are receiving so many spam mail on your Gmail account, here is small tip for which helps you to automatically deleted Gmail spam mails. With the help of this tip you remove all spam mails easily without opening Spam box on your account, all you have to do make some changes on your Gmail setting to get rid of these spam mails. Below am sharing the Gmail Trick which will delete all the spams emails automatically. Step 1. Login to your Gmail Account with your Login ID and password. Step 2. After the login you can see the Gear button on top right of you Gmail inbox. Click the Icon to change the setting of the account. Step 3. 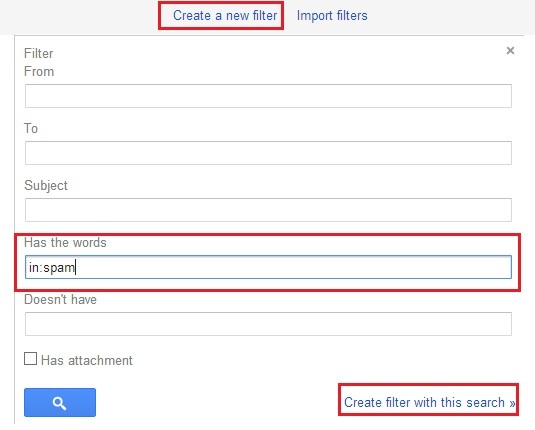 Now you are on the Gmail setting page from here click on Filter option to proceed. Step 4. Now Click on the Create A New Filter and Now a window will pop-up, look for the Has the Words field in this window and type “in:spam” without quotes and then click on ‘create filter with this search‘ then click on OK. Step 5. After this an new screen comes, here check mark the box Delete it and also Apply filter to next to Create Filter and click on Create Filter. That’s it! 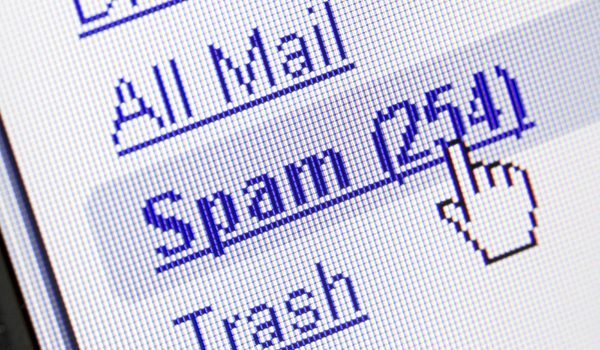 Now you spam mail will delete automatically and there will be no message in your Spam folder anymore. 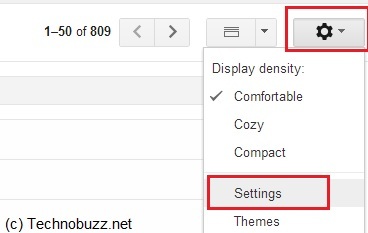 We tested this tip on our Gmail inbox and it works like a charm without any problem. 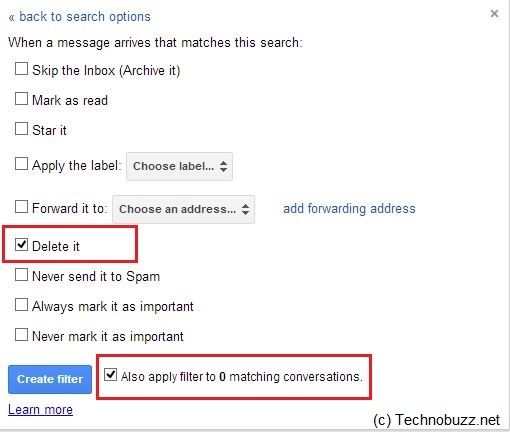 You have to must try this trick on your Gmail inbox to remove spam mails automatically.